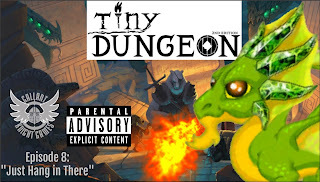 Tiny Dungeon 2e campaign - Episode #8 "Just Hang in There"
This month we're down a hero and we have a familiar face return - Shimmergloom! But this time his royal highness is called Glimmerdoom. 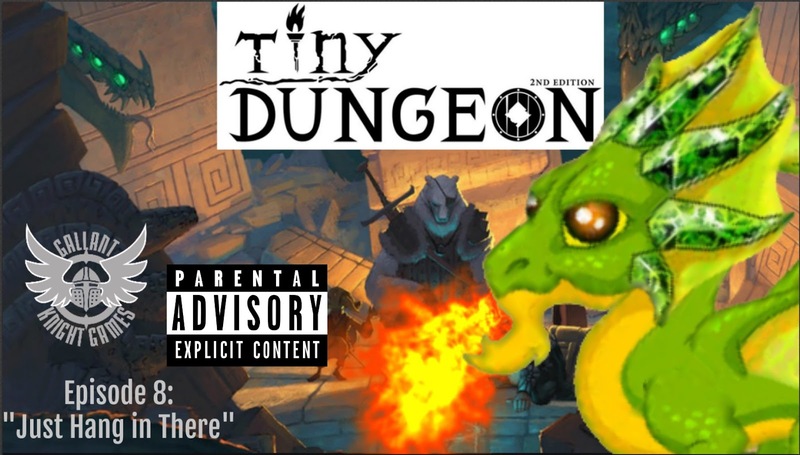 Will our adventurers take heed of his warning to stay away from his rocks? Will Oberon reveal the weak point in a dragon's scales? We learn all this and more in this PARENTAL ADVISORY episode #8 - "Just Hang in There". 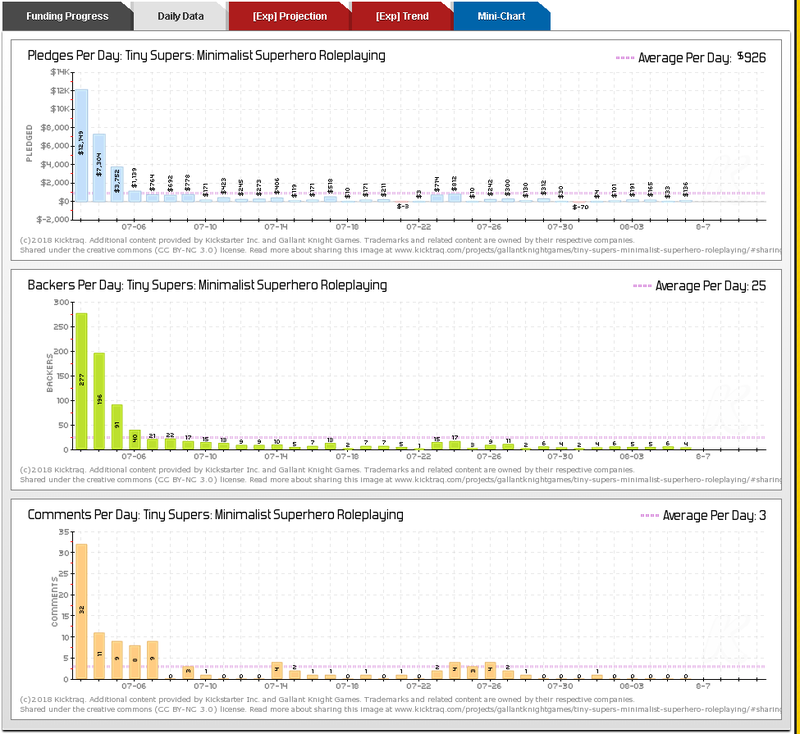 In our first article on Kicktraq, we examined the top third of a project page and moved our way down to the middle third where all the data nerd chart goodness lives. In the third and last article in our Kicktraq primer series we talk about the final third of the project page as well as some other interesting parts of Kicktraq. 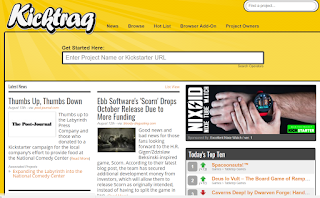 The bottom third of the Kicktraq page shows the “Latest News” from the project. 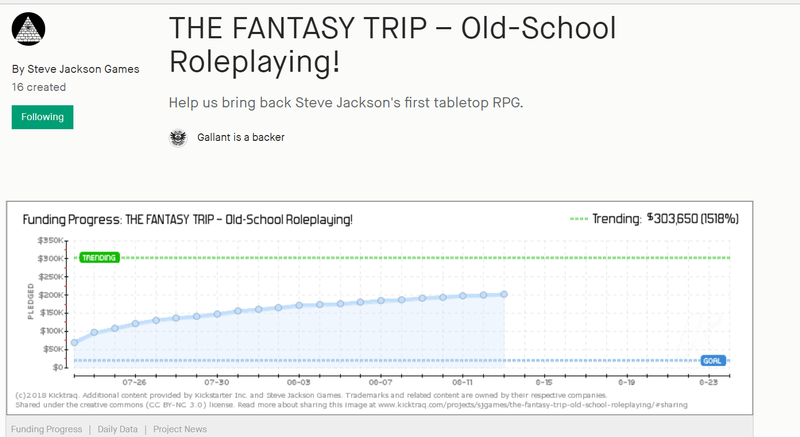 This latest news feed derives from updates posted on the Kickstarter project. 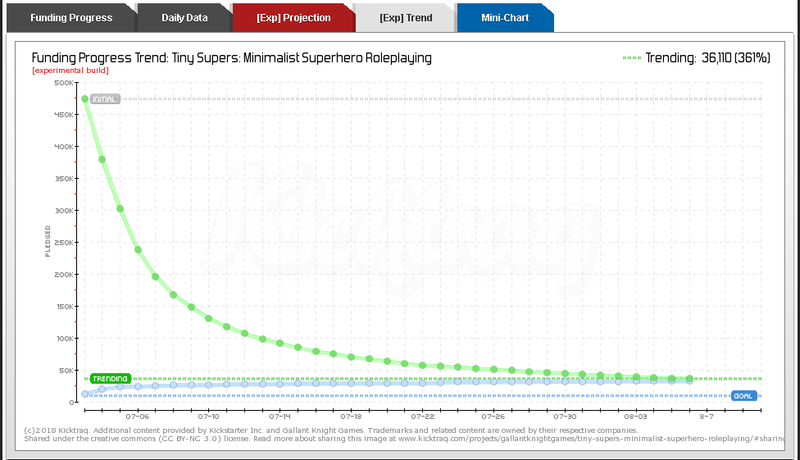 A potential backer researching your project can see the updates for your project without having to be on the Kickstarter page. 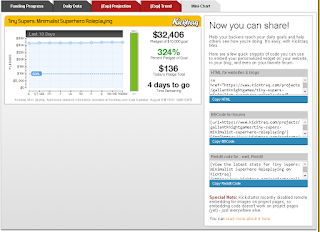 Engagement with your community is a key component of running a successful Kickstarter campaign. Don’t go too long without an update or making comments – even if its just to check in and let everyone know what is going on in the background. Backers like to know what is going on with “their project”. 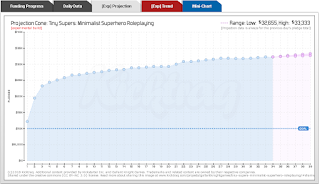 Regular updates keep backers in the loop and build the excitement of bringing a project to life together. 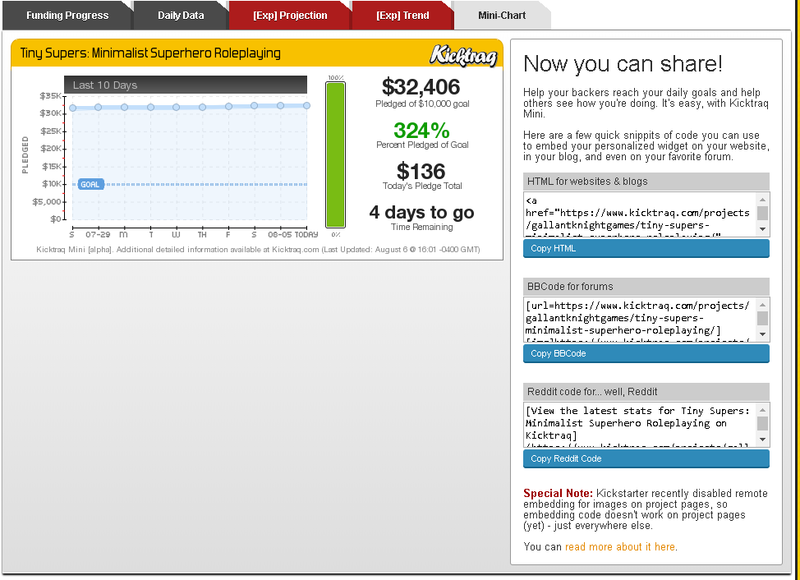 Let’s turn our attention back to the landing page of Kicktraq. The first thing you see front and center is a search box for finding projects. This search box is analogous to the search bar in the upper right of all the site pages. 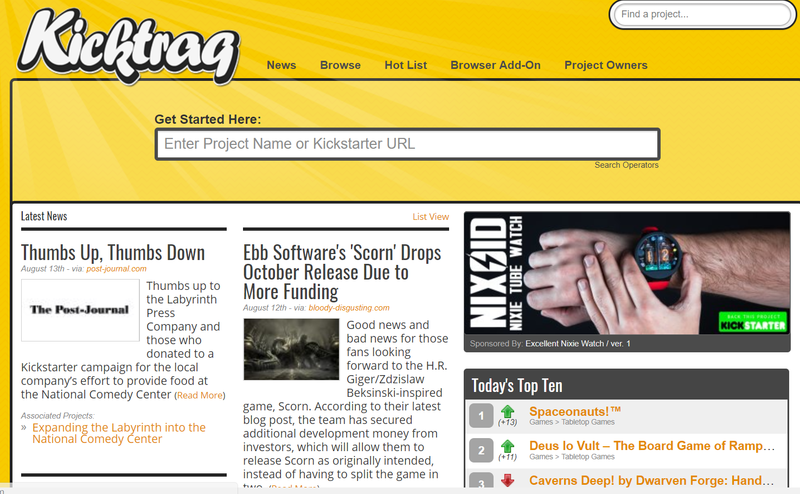 The front page is split into three sections – a news section, a top ten list and the Kicktraq Twitter feed. The front page of Kicktraq functions as a news aggregator for all things Kickstarter culled from blogs around the Interwebs. 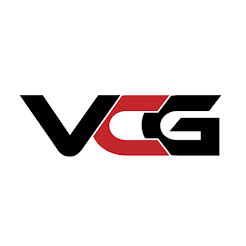 Get your project reviewed and featured on review blogs like Victory Condition Gaming and raise your visibility on this page and others. Not only is it good for your project – its good for your brand as well. On the right side of the page there is the top ten projects for the day. 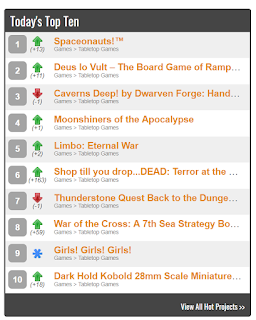 This will reflect the category you have been searching – in the image below you can see my top ten is for table top games, the category I look at most, if not all times. If you look at the bottom of the top ten list, you will see a link for all Hot List projects. 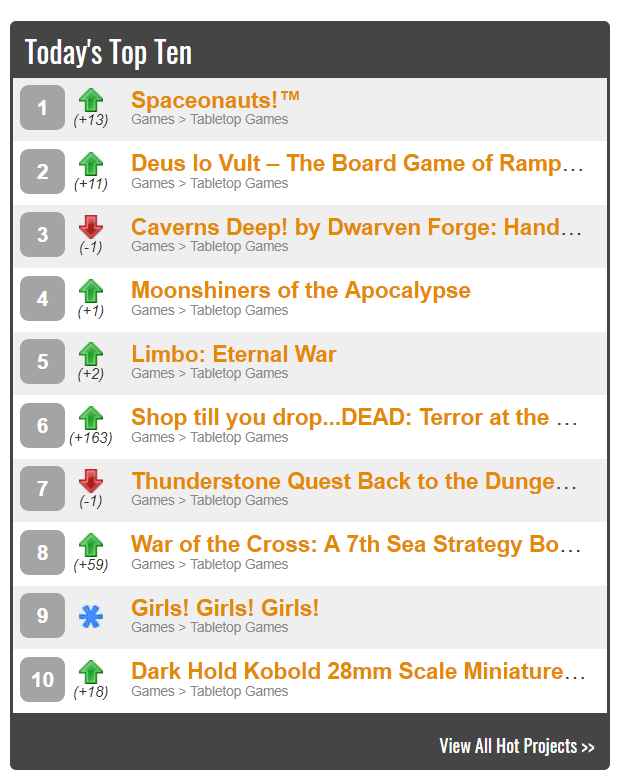 Just below the top ten Hot List items for your category is the Kicktraq Twitter feed. The Twitter feed is another place to mine for great projects to back. Note to creators: If you look at who Kicktraq follows you can mine their followers for influencers for your own campaigns! While Kicktraq does not require you to do anything to be listed on their site, if you go to their site the day you launch your project and use the search function to locate your project, Kicktraq will give you a little extra goodness. Getting your project tracked by Kicktraq from day one allows more data and more accurate tracking. As a reward for this, Kicktraq will list your project on the "Day-1 Projects" page at the very top of the category navigation. Day-1 Project tracking is useful for reassuring backers you will reach your goal throughout the life of your project. Kicktraq also offers free graphics to show you are a Day-One project and helping to get your project listed on the Hot List on this page. 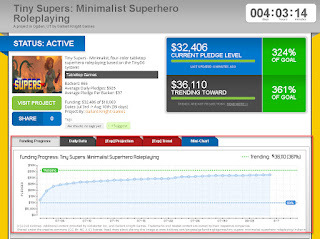 Kicktraq does offer Browser add-ons for the Firefox, Chrome and Opera browsers. Once you download and install the browser extension, you can visit your Kickstarter backed projects or just browse. 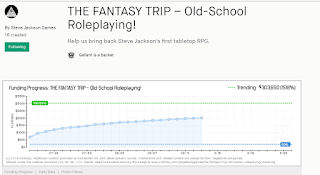 The browser extension will display one of the various charts located in the middle third of the project page above the Kickstarter project image or video. 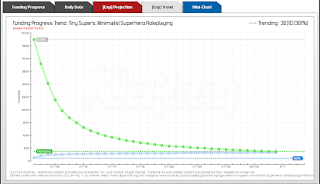 The charts rotate and below whatever chart displays are links to the projects Kicktraq page for Funding Progress, Daily Data and Project News. The add-ons are a handy way to get a snapshot on the analytics of a project. 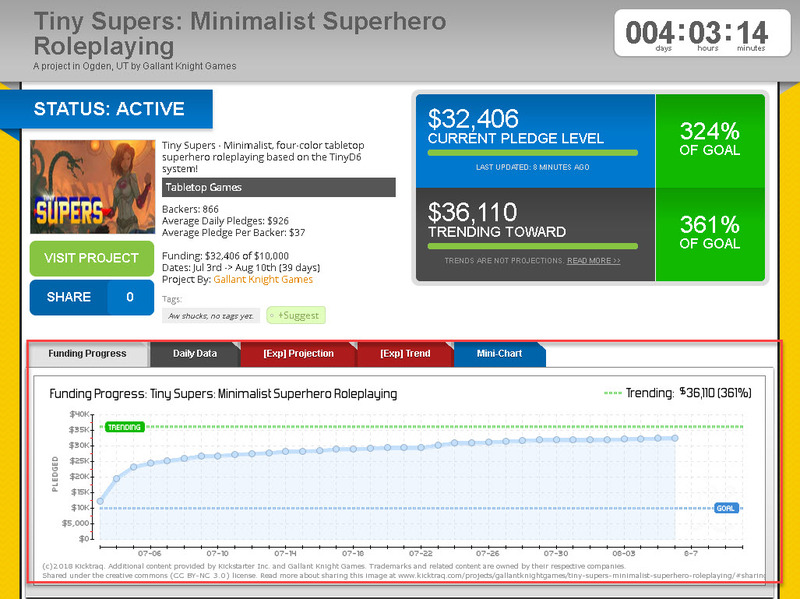 The only downside I see to them is that the Kicktraq analytics can take a little bit of time to load initially. 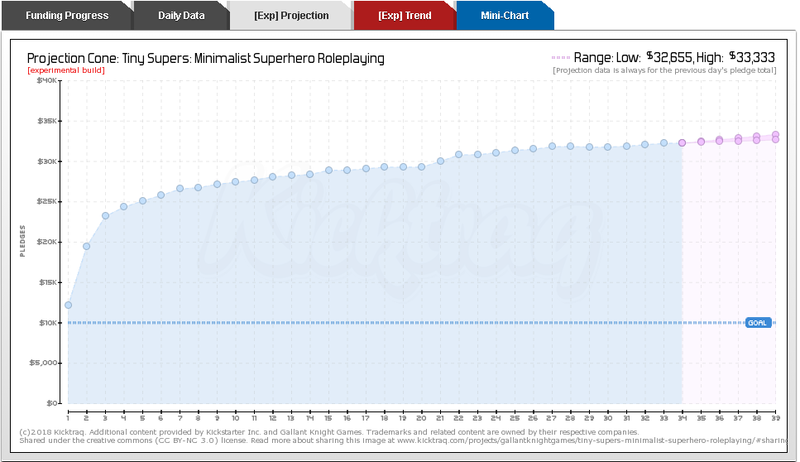 Once they are loaded that initial time, subsequently building the charts takes a lot less time. So this concludes our three part primer series on Kicktraq. I sincerely hope that it has been of benefit to you. In future articles, I plan to do some post-mortem analysis on both failed and successful Kickstarter projects, interviews with successful creators and much more. 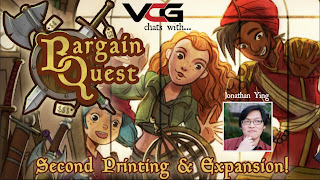 Y'all as excited about @BargainQuest as much as I am? Such a great blend of art, theme and mechanics! 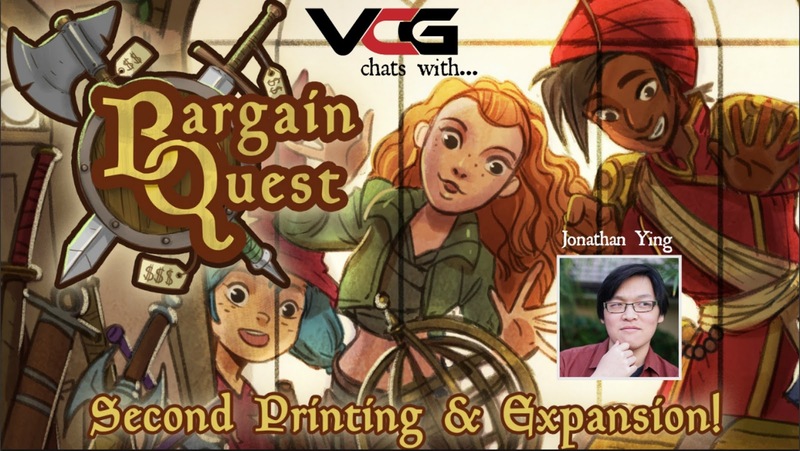 No wonder the second printing is going crazy on Kickstarter!